Lately, are you directing your efforts towards starting a Bitcoin exchange website? Keep reading the article to get insights into why and how you should build your own Bitcoin exchange website. While setting up a Bitcoin exchange can be a difficult task, there are potentially huge rewards also. Bitcoin acts as a central player in technology which is going to completely change the world. There is a considerable possibility that there might be no banking institutions left to control how we live our lives. The world will be so much better when we will be able to directly pay for goods and services through our cryptocurrencies while through blockchain based projects such as: Ethereum, through which loans and mortgages can be accessed easily. Just imagine you are going on a holiday and you don’t have to pay massive currency conversion fees, wouldn’t that be just awesome? Thanks to cryptocurrencies and other blockchain technologies that things will be more streamlined in the future. As compared with other online business startups, Bitcoin and other cryptocurrency exchanges are found to be the high revenue models. Because bitcoins have a high market cap and it is surging to grow day by day. Thus, it is clear that any business which is related to Bitcoin can achieve success in a short span of time. To plan a new Bitcoin exchange, it has to conform to the laws in every country in which it operates. You need to get some form of operator’s license in every country or territory that you choose to operate. This will not only require a lot of paperwork and business registration but also expensive lawyer fees which make sure you are in compliance with the local law rules and regulations. Knowing your target market will enable you to create both a product and right marketing strategy which will allow your website to flourish in future. Some Bitcoin exchanges operate in several countries and available in different languages. You need to think of these crucial aspects before you can define what your website is going to be like. Prior to getting the programming done, you need to ensure your website looks professional and secure too. A key to your website’s success will be its security. Another thing you can decide is whether you will allow users to trade in other cryptocurrencies. Certainly, this will boost user interest and satisfaction in your exchange since people will be able to conduct their investments under one roof. 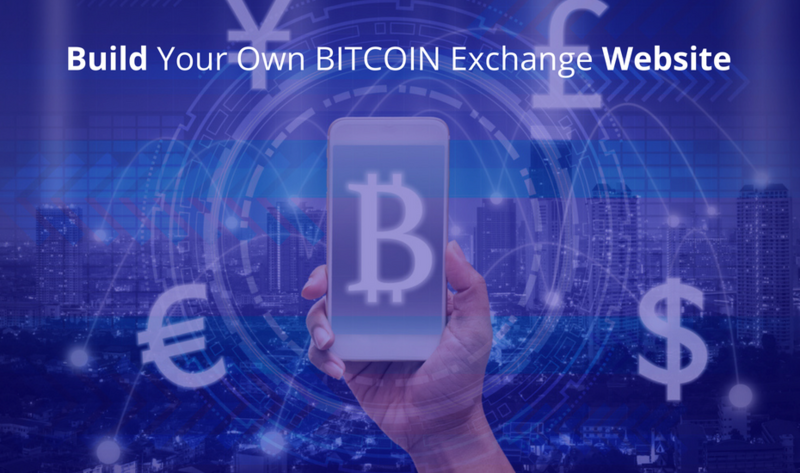 Now, it’s time to get started with the coding part and buying the white label Bitcoin exchange software which can be customized to suit your business model. The second option is, you can take the assistance of various freelance programmers or a dedicated development team to do the hard work for you. Hopefully, this guide will allow you build your own Bitcoin exchange website with a professional assistance from the well-renowned cryptocurrency development company who bring out the best out of your Bitcoin exchange business and drive it to bring forth the profitable results.